Over the past years of answering countless emails from readers and working with Trip Consulting clients, it has become evident that I need to put all of the answers to the most key questions in a single, easy place. At the beginning of the trip planning process, the task can feel very overwhelming. However, if you break the trip down into manageable steps with the help of some valuable local knowledge as outlined in the book, you can plan a perfect trip and maximize your budget. The ebook is available for purchase at Amazon and can be read on Kindles, iPads, iPhones, or desktops using the free Kindle app. If you have any questions, just shoot me an email at graylyn@graylynloomis.com and make sure to read the reviews below! 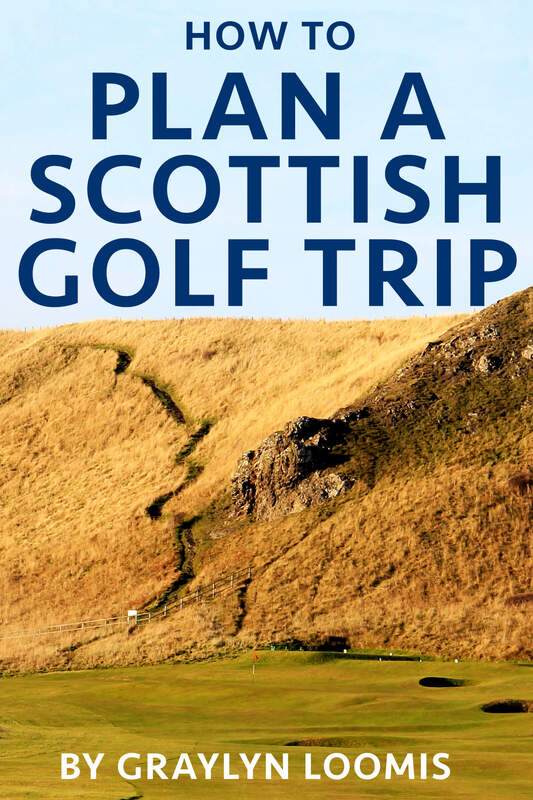 ‘How To Plan A Scottish Golf Trip’ is a must-have for any golfer thinking about making the trip to Bonnie Scotland. Graylyn’s insight is extremely beneficial, and is driven by first-hand experience. He is spot on in all of his recommendations, and the ‘Loomis Method’ is a sound piece of advice that should be followed by all. I also appreciated Graylyn’s advice on accommodation, booking procedures and things to do off the golf course. A trip to Scotland will be a cherished memory for life and this book is a great place to start the planning process. Thank you Graylyn! A complete guide to planning a golf trip to Scotland. After reading this book, you really will be ready to head to the home of golf. Graylyn did a fantastic job with this book. This book provides great insight not only on the Open Rita courses but also many lesser known surrounding courses. He includes tons of resources make planning and researching a breeze. This is a must read for regardless of the scale of your trip. If golf isn’t the only focus, there are great tips and ideas for other adventures to peruse. I know this is going to be a huge help with my trip.